Manzanar National Historic Site is hosting a special screening of “The Manzanar Fishing Club” on Saturday, Feb. 13, at 1 p.m. in honor of Inyo County Schools’ eighth annual “Community Reads” program. This year, Inyo Arts Council and the Inyo County superintendent of schools are hosting a series of events centering on the locally relevant theme of fishing in conjunction with the book “Salmon Fishing in the Yemen” by Paul Torday. By emphasizing the evacuees’ personal stories, the film goes beyond the confinement itself and instead highlights values – courage, responsibility and cooperation – that ennoble the human spirit. Interviews with noted experts provide new insights into the socio-political backdrop of the internment. While larger battles were being fought in the courts, the Manzanar fishermen were exercising their rights on the ground. This is the untold story of those who refused to knuckle under and risked all to go fishing just like other ordinary Americans. Director Cory Shiozaki will be at the screening for Q&A and DVD signing. 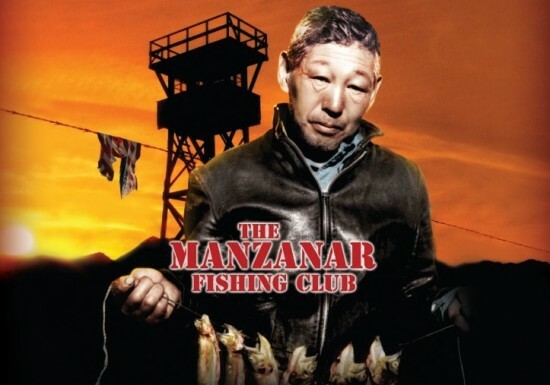 DVDs are available for purchase through the Manzanar History Association (www.manzanarstore.com). Proceeds benefit Manzanar National Historic Site. Manzanar National Historic Site is located at 5001 Hwy. 395 near Independence. For more information, call (760) 878-2194, ext. 3310 or visit www.nps.gov/manz.